We love Bertie the bird, and we know you do too! 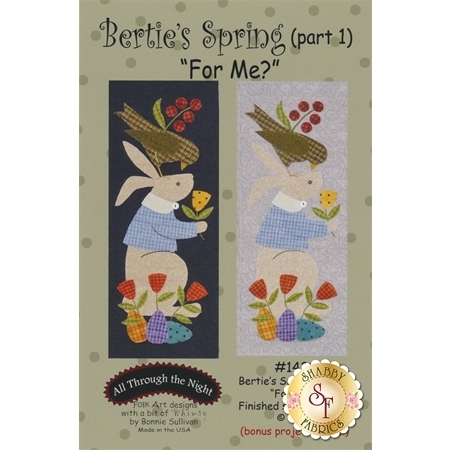 Now he's back for spring in this darling 8" x 20" flannel quilt block by Bonnie Sullivan. This project features simple appliqué. 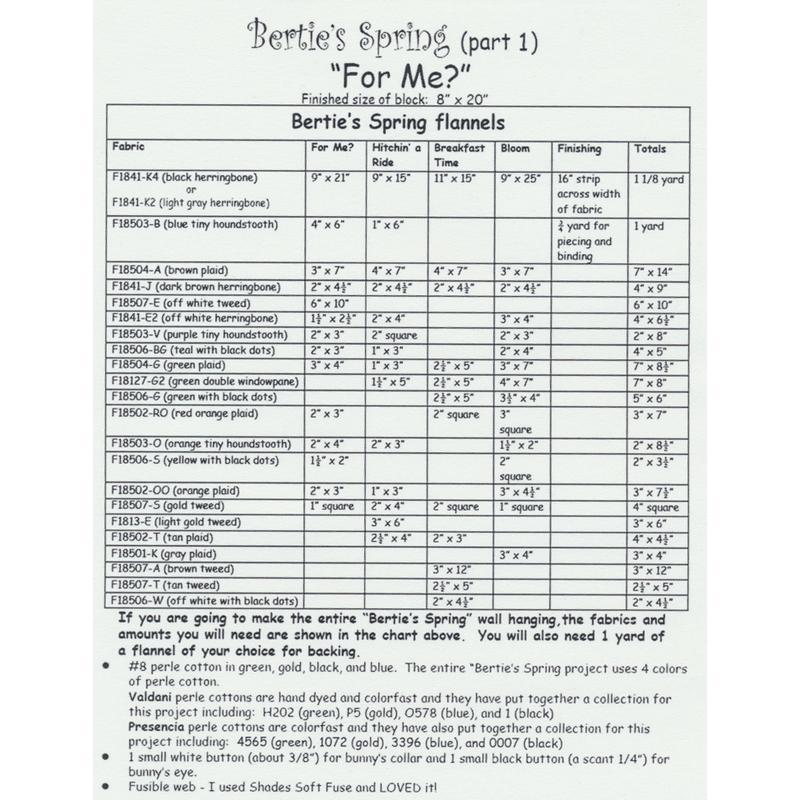 The pattern includes all instructions for the finished quilt block. Included in the pattern is a bonus project that uses the same block, but finishes as a stand-alone project. Part 1 features Bertie making friends with a neatly-dressed bunny rabbit! They are surrounded by a variety of colorful spring blooms.